Overall financial results were positive nonetheless, Mullen said, thanks to positive contributions from acquisitions and improved performance by some of Mullen’s trucking businesses. Operating profits increased 12.4% to C$51.7 million in the three months ended Dec. 31 from $46 million a year ago, and revenue grew by 12.6% to $333.3 million from $296.1 million. As a result of the downturn in oil field services, Mullen said it recorded a $100 million charge against earnings to reflect an impairment of goodwill, resulting in a net loss of $81.1 million, or 77 cents a share, in the fourth quarter of 2018, compared with net income of $5.4 million, or 5 cents a share, in the same period in 2017. 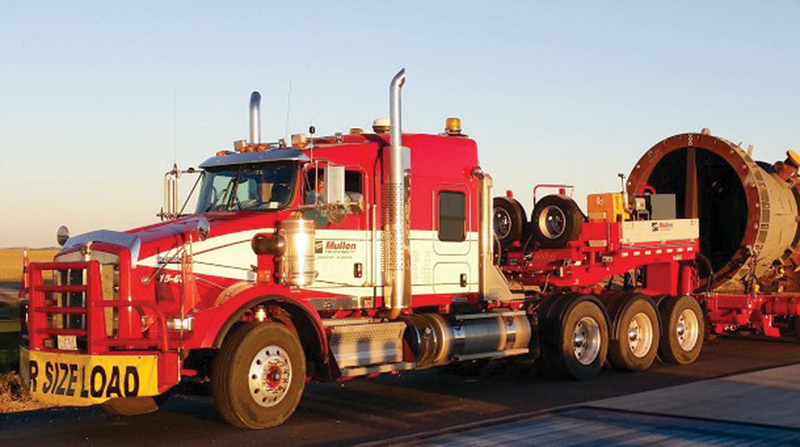 Mullen’s trucking and logistics segment generated operating income of $33.2 million, which was a record compared with any previous fourth quarter, and was up 6.4% from $31.2 million in 2017. Revenue increased 6.3% to $219.7 million from $206.6 million. Growth came from a combination of rate increases and increased demand in western Canada for both less-than-truckload and truckload freight hauling, the company reported. Oil field services generated operating income of $20.8 million in the fourth quarter of 2018 compared with $15.4 million in 2017. Revenue increased 27.6% to $114.1 million from $89.4 million, due mainly to acquisitions and greater demand for pipeline hauling and stringing and de-watering services. For the year, Mullen posted a net loss of $43.8 million, or 42 cents a share, on revenue of $1.26 billion in 2018, compared with net income of $65.5 million on revenue of $1.14 billion in 2017. Mullen Group, based in Okotoks, Alberta, ranks No. 52 on the Transport Topics Top 100 list of largest for-hire carriers in North America based on revenue for its trucking operations only.